Most recording musicians, engineers and producers are well aware what a difference mastering can make to our mixes. Mastering is an art form in itself, and is best placed in the hands of a specialist. Excessive low-end is probably one of the most common problems in mixes coming from project studios. Usually this is directly related to the mixing environment. The average home studio or project room is lacking in real acoustical treatment is and rife with reflective surfaces and bass traps. The result is an uneven response across the bass spectrum, with some notes being overemphasized and others being practically inaudible. This translates to a poorly balanced low end in your mix. You’ll find a lot of info on balancing your room’s acoustics in our Studio Basics blog, Studio Acoustics and Soundproofing Basics. On the other end of the spectrum, high-end can also cause its own issues. While not as hard to hear in the project studio environment, those high frequencies can show up differently during the mastering phase. A De-Esser, like the Precision De-Esser Plug-In, is a good way to nip sibiliance in the bud before mixing. The bottom line, as Doell points out, is to use EQ wisely and sparingly. This is probably one of the most discussed topics in modern music mixing circles. 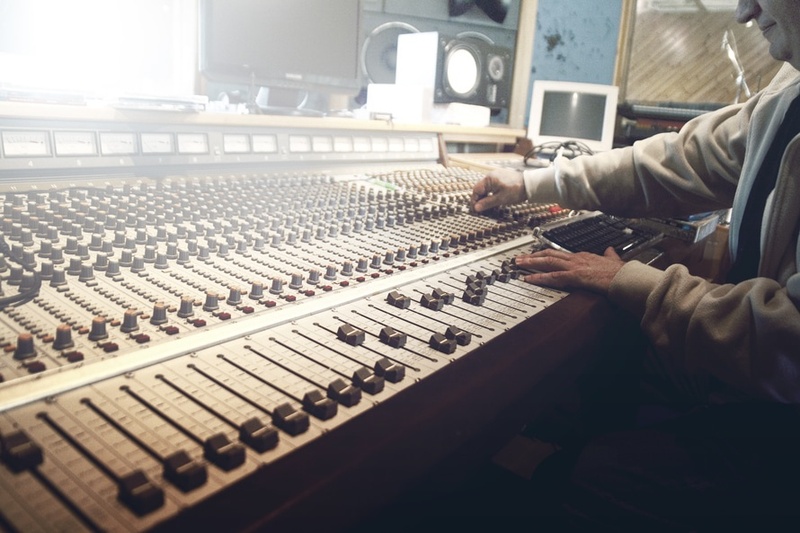 Over the past decade or so, the quest for radio airplay has created a battle for attention that has manifested itself in loudness – the perception being that louder the track, the more it will grab the listener. It’s a mentality that started with TV and radio advertisers (notice how a loud commercial gets your attention) and is a direct result of today’s vastly improved compressor technology, which has enabled us to create “radio mixes” where everything is loud, punchy and in your face. The problem with pumping up the apparent volume on your mix this way is that it works by compressing the dynamic range of your tracks. Dynamic range is defined as the difference between the loudest and softest sounds in your track. Ideally, the tracks you deliver to the mastering house should have peaks of around –3 dB for the loudest material (for example, a snare hit), while the rest of the track should average in the –6 dB to –8 dB area. That would give your peaks somewhere around 3dB to 5dB of dynamic range. The problem with compressing dynamic range (or, equally hazardous, normalizing a track’s relative volume), is that you effectively rob your mastering engineer of the resources to do their job. A good mastering engineer applies meticulous use of multiband compression – bringing up the punch and presence of the bass, adding clarity and sparkle to the high end – all by using different compression algorithms for different spectral bands. Many inexperienced mixers will apply a “mastering compressor” plug-in, using a preset that creates a loud but muddy low-end, a bright and aggressive high-end, and little room for the mastering engineer to add — or de-emphasize — anything. On a related note, try to avoid over-compressing individual tracks for the same reason. Often a mastering engineer will get a track that’s well within dynamic range, but with a vocal track that’s been normalized to the verge of distortion. Again, it leaves little room for mastering to bring out any subtlety or nuance in that vocal. It’s important to give your mix some dimensionality by balancing different elements within a nice, wide, stereo field. All too often, people tend to pan everything at or near the center, creating a cluttered-sounding mix that lacks definition. While certain elements should typically be centered (kick, snare, vocal and bass come to mind), panning is a great way to achieve separation between guitar parts, background vocals and other parts of the mix.